Hydraulic Crane Specialists at (251) 675-0001 - Demag TC 3200 with all the options! Hydraulic Crane Specialists at (251) 675-0001 - 990 TC Lima in great shape! Hydraulic Crane Specialists at (251) 675-0001 - American Wagon Crane! A great yard crane! Single Cab, drives from the upper, twin engines and very low maintenance! Hydraulic Crane Specialists at (251) 675-0001 - GROVE HL150T w/ OPTIONS! 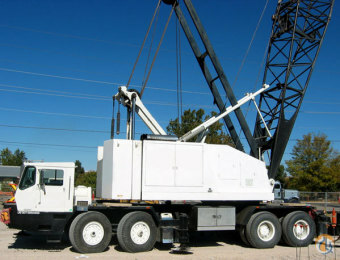 Hydraulic Crane Specialists at (251) 675-0001 - P&H 9125-TC FOR SALE! 15 Ton Capacity, 36' Boom, 15' Offsettable Jib, Dual Fuel (Gas/Lp) Engine, Four Wheel Drive, Four Wheel Steering, ROPS Cab, (hour meter changed at 3,159 hours). 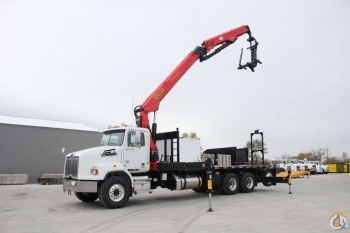 Location...Illinois, 9 Ton Capacity, 30' Boom, 10' Jib, Dual Fuel Engine, Two Wheel Drive, Four Wheel Steering, Hook Block, ROPS Cab. Location...Illinois. 9 Ton Capacity, 30' Boom, 10' Jib, Diesel Engine, Two Wheel Drive, Four Wheel Steering, Enclosed Cab, LMI Computer. Used 1996 Liebherr LTM 1160-2 All Terrain Crane For Sale, 160-Ton Capacity, VERY GOOD CONDITION, Located in Abu Dhabi, United Arab Emirates. Call us or e-mail for price.